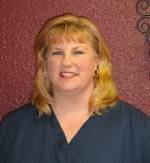 Dr. Wendy Broussard attended Lamar University and the University of Houston. She graduated from the University of Houston College of Optometry in 1995. She worked in Port Arthur for 10 years before purchasing the TSO Gateway office in 2005. Dr. Broussard and her family have lived near Beaumont in LaBelle since 2004. She was born and raised in Port Arthur, Texas. Dr. Broussard is the president of the Southeast Texas Optometric Society and a member of the Texas Optometric Association and the American Optometric Association. She is very involved in the community. She serves as a catechist at St. Mary Catholic Church in Fannett, Texas and is a supporter of Hamshire Fannett High school where her youngest daughter attends. She is also a member of the Beaumont Aggie Moms. Dr. Broussard loves animals and enjoys traveling and spending time with family and friends. Dr. Matthew Phan was born and raised in Texas. He received a Bachelors of Science from The University of Texas at Austin in Human biology and a Doctorate of Optometry from The Ohio University College of Optometry. 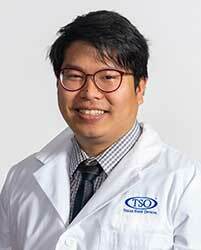 His passion for optometry is driven by the ability to improve the quality of his patients lives. He has training in the management of binocular vision conditions, specialty contact lens fittings, disease management, dry eye management, low vision exams, and managing patients that are on long-term use of medications that can affect the health of the eyes.